No, you’re not reading this wrong. 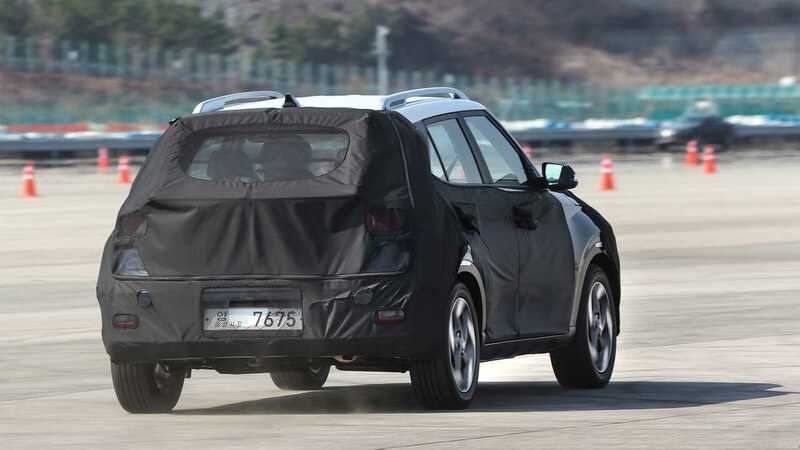 This really is a first drive of the 2020 Hyundai Venue, a car that literally just debuted at the 2019 New York Auto Show. 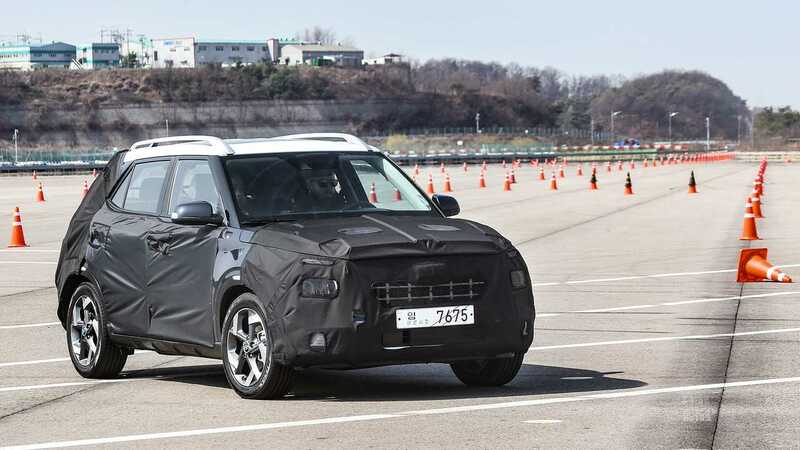 The newest and smallest CUV in Hyundai’s lineup, the Venue is slightly smaller than the Kona that went on sale last year and it will serve as the entry-level crossover in Hyundai’s lineup. 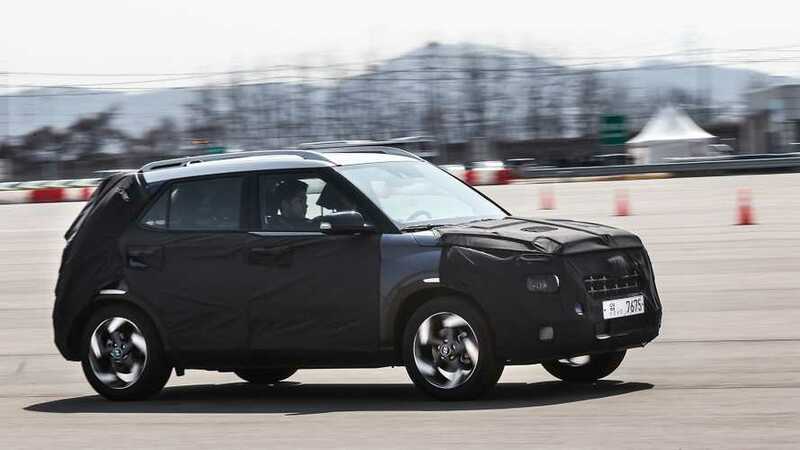 While the prototype we drove on Hyundai’s Namyang, Korea test facility was camouflaged, we were able to preview an uncovered version of the crossover at the design center. And of course, there’s the undisguised example sitting on the floor of New York City’s sprawling Javits Center, if you need an even closer look. The Venue brings a bit of the Kona’s sporty flair to its body lines, with a two-tone paint job and boxier styling than its slightly larger sibling. Once inside, the cabin is refreshingly straightforward. While the newer Hyundai models we’ve driven opt for a digital cluster, the Venue has a traditional tachometer and speedometer that almost give it a sporty character. An 8.0-inch display handles the infotainment duties, while three dials – a large center one serves as a display, and there are two for the climate controls – keep the cabin minimalist and clean. 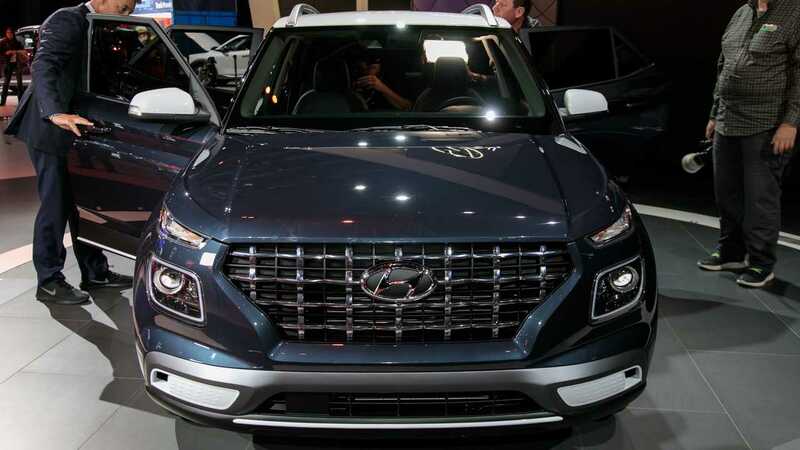 Although newer Hyundais like the Palisade flagship crossover SUV feature a push-button gear selector, the Venue opts for a traditional shifter. And while it may just be a cost-savings measure, there’s something analog and almost refreshing about seeing real gauges and a chunky shift lever. In back there’s a surprising amount of legroom – enough for an average adult to sit comfortably. Taller adults will note a lack of headroom, though, despite the Venue being a half-inch taller than the Kona. It also feels surprisingly versatile. While it’s 1.2 inches narrower than the Kona, and 5.2 inches shorter overall with a 3.2-inch shorter wheelbase, there’s still a surprising amount of cargo room. The Venue’s hold can fit two carry-on bags easily, or one large full-size suitcase without folding the 60/40 split rear seats. Fold them down, and cargo space is notably more generous. There’s also a bit of clever, well-thought-out engineering in the rear storage area. The tonneau cover slides back and tucks away against the back of the rear seats, so you don’t need to awkwardly remove it or have it partially sticking out or hovering over the cargo area. Additionally, the cargo floor is flush with the rear door opening, but lowers about a half-foot further to accommodate taller objects. A new, 1.6-liter naturally aspirated four-cylinder powers the Venue, providing 121 horsepower, while Hyundai’s Intelligent Variable Transmission (a fancier name for a CVT) sends that power to the front wheels. Hyundai claims its engineers worked to make the IVT feel more like a traditional automatic. At this time it appears that CUVs sporting the Venue badge will be FWD-only – you’ll have to step up to the Kona if you require all-wheel drive. To simplify things, there are three drive modes: Eco, Normal, and Sport. Our first go was in Normal mode, and the short course allowed for acceleration up to highway speeds, before taking on a slalom course. There’s a bit of unrefined engine noise – a kind of wail as the cylinders are clamoring to get the little CUV up to speed. And while it won’t pin you back in the seat, the 1.6-liter’s acceleration was acceptable. This is certainly for the urban environment, where Hyundai expects buyers in the segment to spend most of their time. On the slalom, the car handled itself in a dignified manner, with predictable steering, and the Venue navigated the course admirably. The brake setup scrubbed highway speed in a quick, linear fashion. We went around the course in Sport mode, as well. While Sport loosens up the throttle response and makes the Venue feel a bit more zippy and lively, it’s not a dramatic departure from the Normal setting. It’ll be some time before Venue gets its official fuel economy ratings, but we suspect—given the power ratings – that it will be a generous bump upwards from the base Hyundai Kona and its 2.0-liter inline-four, which is rated by the EPA at 27 miles per gallon city, 33 highway, and 30 combined. 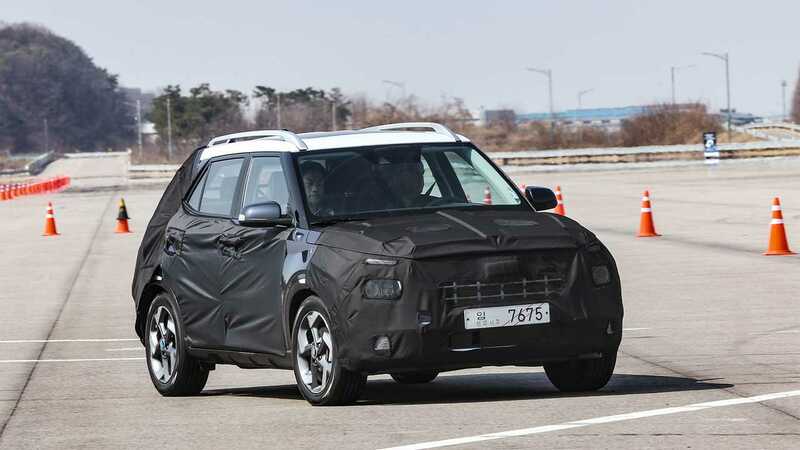 We’ll want to get more time in the Venue to more fully evaluate it, but in a market that seemingly can’t get enough crossovers, the 2020 Hyundai Venue will serve as a budget-friendly, attractive entry.